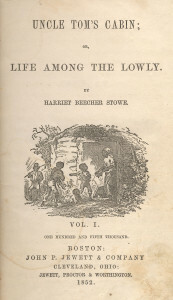 Cover of the first edition of Uncle Tom’s Cabin, 1852. Even though education for the working-class in the early 20th century was not always available due to long working hours, illiteracy had decreased significantly in comparison to the 19th century. Regarding Mary Hollinrake’s family, they all seemed to be well educated and therefore a good influence on Mary and her success. The effect that reading had on Mary Hollinrake’s writing can be seen in her memoir when she listed her out of school activities. 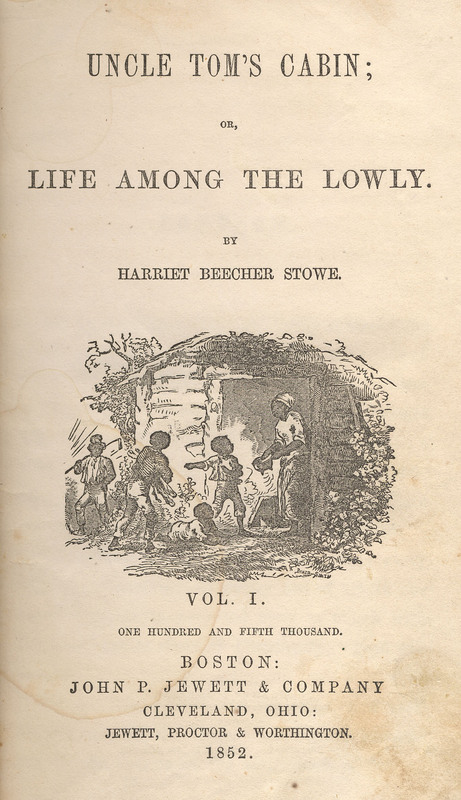 Regarding books, she owned “‘Children of the New Forest’ and ‘Uncle Tom’s Cabin’ and Grimm’s Fairy Tales” (28), which are all well renowned children’s literature. She then pointed out that “When young I had rag books with the alphabet and nursery rhymes in them” (28), showing that her education began at an early age which suggests why she excelled in school. 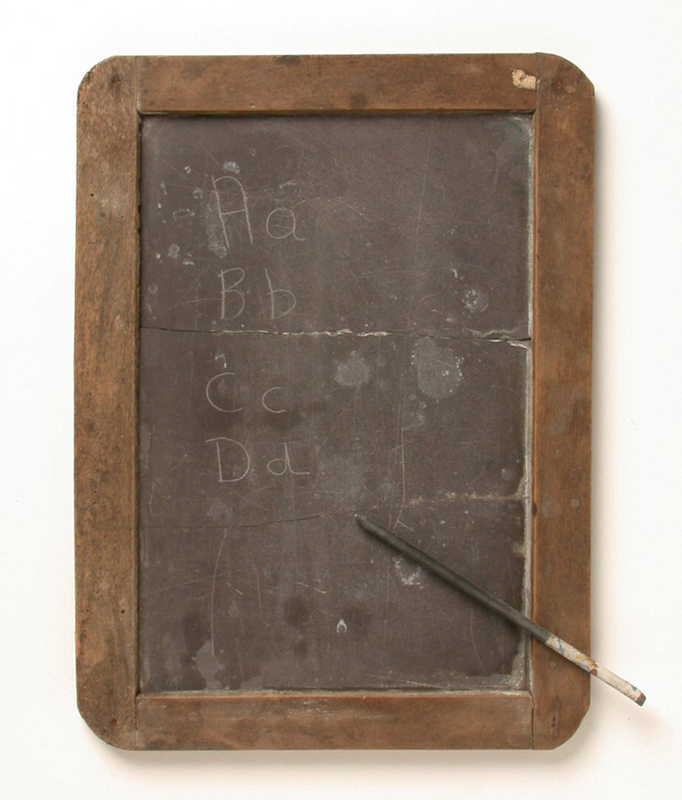 Her desire to learn can be shown by how she “had a slate and a slate pencil with which to write and draw and later a blackboard and easel and chalks” (28). This is a reflection of how the working-class sometimes resorted to self-education (Rose, 187) as these academic supplies which benefitted Mary’s ability to read and write would have been found in a stereotypical working-class household. I also looked at her educational opportunities in my previous author blog on education and schooling. Mary discussed the significance of her family members’ reading habits which may have impacted her own. She stated that “My aunts were avid readers they had read many of the classics” such as “all the Bronte’s books, most of Dickens and Shakespeare” (6) showing the extent of her well educated family, despite their class status. They may have been a great influence on her interest in reading as she said “I still have my aunts’ complete Shakespeare works and some of the Bronte’s” (6). Reading seemed to be a social aspect within Mary’s family as she said “Talk was at its most exciting when tea things were cleared away and washed up. Chairs were drawn up to the fire, books or fine sewing needles was brought out” (13). This would have stemmed from working-class families assisting each other in developing their reading and writing skills. As a qualified and well-practised teacher, we can see that Mary developed the job’s essential skills of reading and writing fairly young. These are both represented clearly in her memoir through her consistently neat handwriting and use of extensive vocabulary. Rose, Jonathon. The Intellectual Life of the British Working Classes. New Haven and London: Yale University Press, 2001. Image of the cover of Uncle Tom’s Cabin, 1852. Image of a slate and slate pencil. 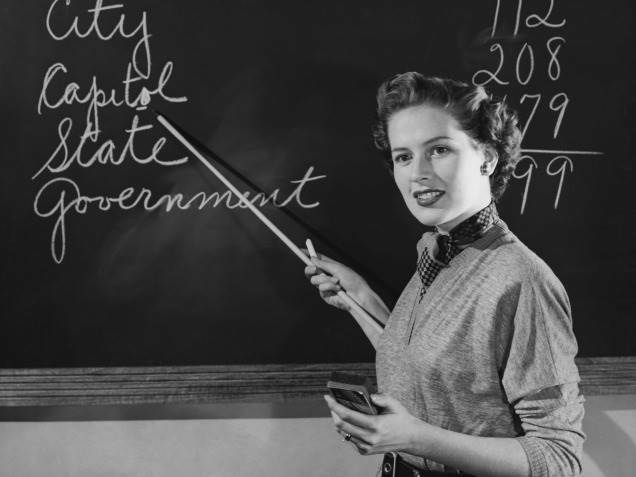 Image of a teacher in the 1940’s. One Response to "Mary Hollinrake (b. 1912): Reading & Writing"